We already knew that Agents of S.H.I.E.L.D. was returning for a sixth season on ABC in the summer of 2019. But it turns out we’ll be sticking with Daisy Johnson and her compatriots through at least 2020. Marvel announced today that the show has been renewed for a seventh season, with most of the cast reprising their roles. The news comes as a surprise, since season 6 was rumored to be the final outing for the team. Earlier this year, even the possibility of a sixth season didn’t seem like a sure thing. For that reason, showrunners Jed Whedon and Maurissa Tancharoen wrote the fifth season finale as a series finale. The next two seasons will reportedly be filmed back-to-back as a means of cutting production costs. 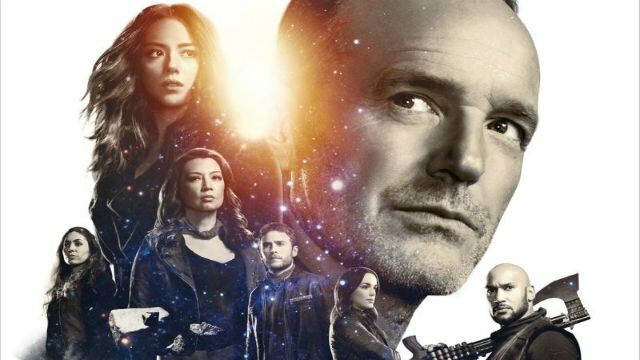 Season 7 will feature the return of Chloe Bennet as Daisy Johnson/Quake, Ming-Na Wen as Melinda May, Iain De Caestecker as Leo Fitz, Elizabeth Henstridge as Jemma Simmons, Henry Simmons as Alphonso “Mac” Mackenzie, Natalia Cordova-Buckley as Elena “Yo-Yo” Rodriguez, and Jeff Ward as Deke Shaw. Noticeably absent from that list is Clark Gregg’s Phil Coulson, who became an MCU favorite after his introduction in Iron Man. After getting stabbed by Loki in The Avengers, the character was resurrected to headline the series beginning in 2013. However, in the latest season, we learned that a previous deal with Ghost Rider was causing his body to deteriorate. The last scene of the finale showed him spending his final moments on a beach in Tahiti. Although his character won’t be cheating death a second time, Gregg will be returning to direct the first episode of season 6. Are you excited for Agents of S.H.I.E.L.D. to return for a seventh season? Tell us what you think in the comment section below! Tags: ABC, Marvel, Marvel Cinematic Universe, Marvel's Agents of S.H.I.E.L.D.